Swinburne University of Technology is an educational institute based in Victoria. Being an innovative education institution, Swinburne is committed to delivering excellence in higher education, vocational training and research. The Industrial Science department at Swinburne University of Technology was interested in a LIMS suitable to a teaching environment that would assist lecturers in demonstrating the course outline subject “Use laboratory applications software.” It was seen as key to introduce students to know what a LIMS package is and enable students to gain an understanding of how a LIMS works, so they can be ready for their future workplace. Lims1 was selected to be the right choice as it is an easy and flexible lims system(software), which made it easy to implement in a teaching facility and with many students. It is also used in many commercial and research laboratory workplaces so the student of Swinburne University will be well prepared for their first role in a laboratory. Lims1 is being taught successfully to students of the respective courses. The department is now looking at adding extra Lims1 modules to increase the level of learning. Students have approached the department after they have started working in commercial laboratories and thanked Mr Ron Fisher for demonstrating LIMS, and allowing students to have a hands on approach in the teaching program. What the Product Consultant said “It is a great pleasure to be in a situation where you have been able to assist young students with a passion for Science to gain hands on experience with Lims1 prior to starting their career in a laboratory. ” Amanda Orphanides, Lims1 Product Consultant. Townsville Laboratory Services is composed of a chemical laboratory and a microbiological laboratory which analyse samples for open waters, treated drinking water, trade waste, sewage and other environmental samples. The lab services a range of organisations throughout Queensland including local government shires and councils, hospitals, universities, schools and other institutions in North Queensland. 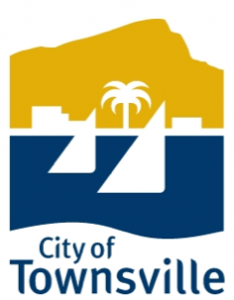 “When we first started talking with Edgar from Townsville City Council, it became apparent that their main need was to streamline the process of sample tracking in the laboratory. Lims1 has given the laboratory the ability to decrease their turnaround times and allowed the business to grow.” Amanda Orphanides, Lims1 Consultant.